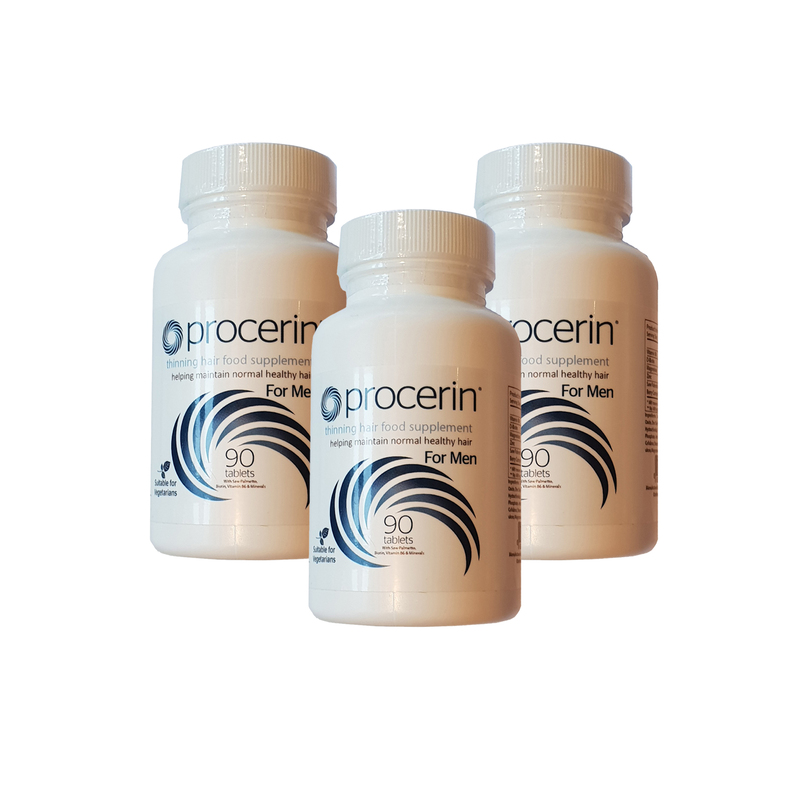 Procerin tablets contain a healthy list of high quality ingredients. These all play a key role in supporting the growth of natural healthy hair and correct body functioning. The blend of active ingredients includes: Saw Palmetto Berry Complex, D-Biotin, Zinc Sulfate, Magnesium and Vitamin B6. Having been available in the US for over 20 years (Procerin.com) and for 17 years in the UK, they also have a long term history of safe and effective use. Our products work hard to stop your hair loss without the negative side effects of many other products. They were also featured on ITV’s ‘This Morning’ with Holly and Phillip and the video is still available on YouTube. Unfortunately, ITV never followed up on the study despite ordering more product and providing us with excellent feedback. Many men with thinning hair already know about the effects of Dihydrotestosterone (DHT) but if not, you can read up more about ‘DHT’ on our ‘Causes’ page. In summary though, you support your hair follicles from the inside with the tablets while the topical solutions work externally. Procerin XT Topical Foam provides a potent blend of ingredients whose growth stimulating properties have been demonstrated in several independent US studies. 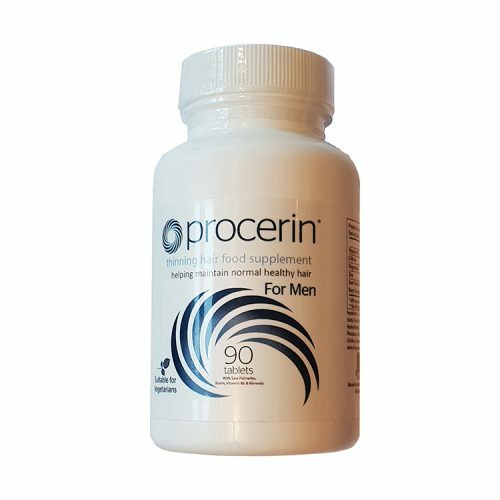 Procerin Tablets are easily swallowed with water.